This symbol is the portal of life that also represents the womb of the sacred feminine as the creative essence born from water. For students of Pythagoras (Greek philosopher circa 570-490BCE) a vesica piscis meant “measure of a fish,” seen as the intersection of the watery world of matter with the divine world of the sun. They saw math as a path for spiritual liberation. One (1) was the monad, the creator of many and the sum of all. Two (2) was the duad, the separating force of duality while (3) was the sacred and unifying triad created by the monad and duad. A vesica piscis, when turned on its side, is symbolic of the human eye as a mirror to the soul. For some Christians, the vesica piscis represents the womb of Mary as the coming together of heaven and earth through Jesus, the “fisher of men” as part man, part god. A stylized version of it is called an ichthys or “Jesus Fish.” The vesica piscis is also known as a mandorla (almond in Italian.) The seven-branched Menorah in Judaism represents an almond tree that symbolizes the soul’s journey of uniting the earthly Tree of Knowledge with the divine Tree of Life. For Muslims, the Vesica Piscis is the womb of the universe, which holds the sacred black stone, ovum of the universe, in the East corner of the Kaaba in Mecca. 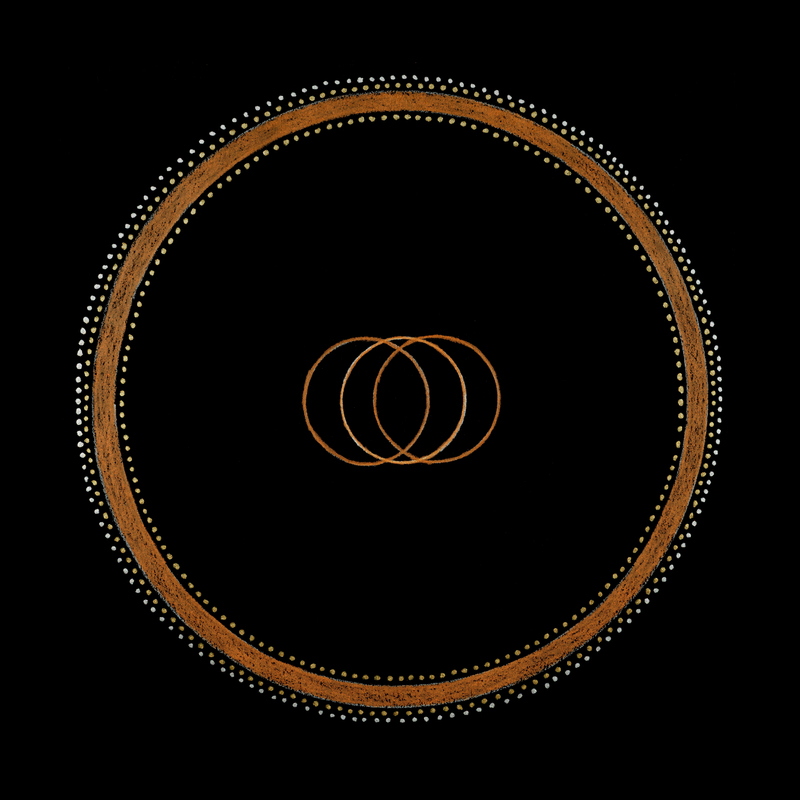 The Vesica Piscis symbolizes the birth of humanity as the sacred trinity of spirit, mind and soul. Message: Let go of limiting beliefs and be open to new solutions and synchronicities. Enjoy the push and pull of the creative process by remembering that there are no mistakes, only insights. Look for a potential partnership or community that supports your creative vision. The sacral chakra is located in the lower abdomen that is connected to the reproductive system. This is the sacred place of creation, pleasure, relaxation, fearlessness and peace. It represents our emotional world and the archetype of the jaguar as the peaceful warrior. In sacred geometry, this is the vesica piscis or portal of life. Its element is water and its belief system embodies the Taoist tradition of inner harmony between yin (female/earth) and yang (male/sky). Here one becomes aware of them self as a human. This chakra balances the sacred feminine with the sacred masculine to make peace within one’s self.